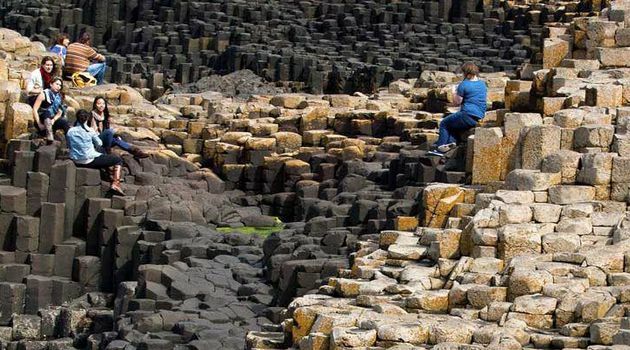 Take one giant Day Tour from Dublin to the Giant's Causeway, Carrick-a-Rede Rope Bridge and Dark Hedges. This is not a tour for the fainthearted, Darby O’Gill Day Tour offers you a chance to engage with all that is enchanting about rural Ireland and its natural landscape. 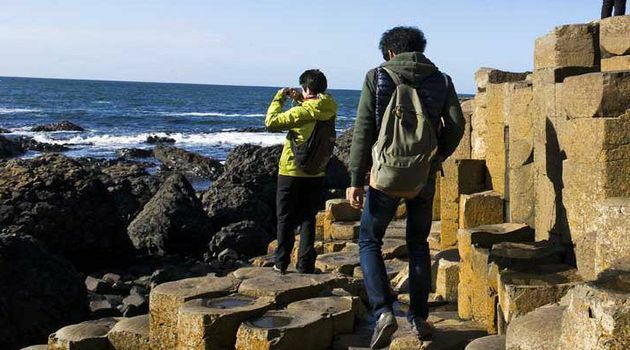 An ancient volcanic eruption and spectacular rock structure has long been the source of colourful legend in the form of the Giant’s Causeway, a UNESCO world heritage site. And is it any wonder, the symmetrical formations seem almost perfect enough to have been the efforts of a hard-working giant! Let the adventure begin! 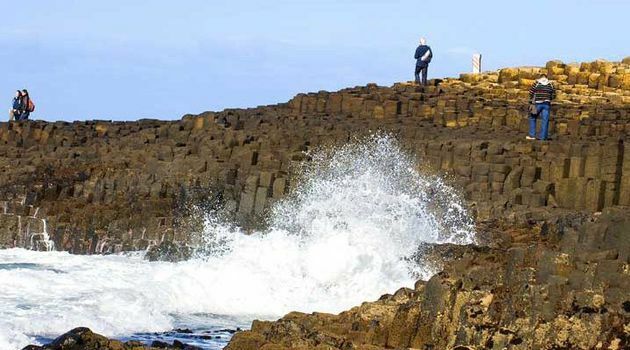 Take the Darby O’Gill tour to the Giant’s Causeway and see for yourself this epic wonder of nature. And while you’re there, hold on tight and face the fear while treading carefully across the famous Carrick-a-Rede rope bridge, if you are brave enough! Our luxury coach takes you in comfort and style on a day away from Dublin, with free Wi-Fi on board during our passage north to the county of Antrim. 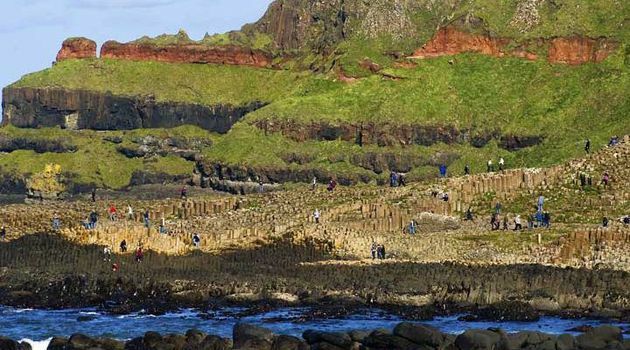 Upon reaching the Giant’s Causeway, prepare to be met by the most spectacular sight – a giant among giants in the world of natural wonders. This wild and beautiful formation is a consequence of ancient volcanic activity, the solidified lava now layered across 40,000 hexagonal columns stretching for a distance of over 6 kilometres. Legend tells a different version of this story however. The Irish giant Finn McCool while preparing for battle with his Scottish rival, is said to have angrily fired rocks into the sea to forge a path to nearby Scotland. However on seeing the size of his would-be adversary, he quickly retreats tearing the ground and ripping the stones as he hastily moves. Similar types of stone found in Scotland give weight to this tale of two feuding giants! Even today the causeway continues to stir imagination and inspire folklore, featuring as it does in the hit TV series Game of Thrones. 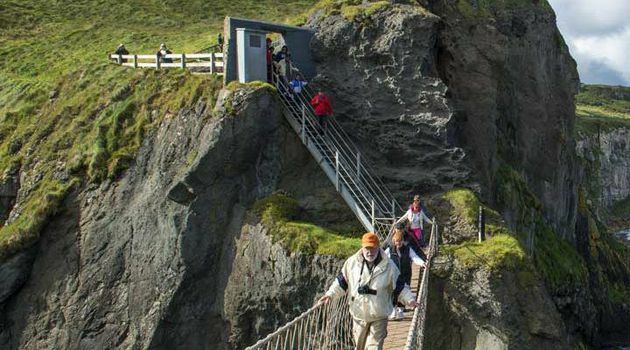 After spending some time in the state-of-the-art visitor centre learning more about the myths history and geology of the area, we head for the heights of the Carrick-a-Rede rope bridge. 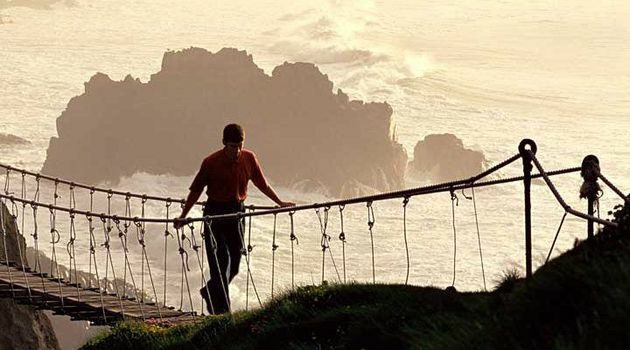 Spanning 66 feet and constructed originally by fisherman more than 350 years ago, it crosses a deep chasm at a height of almost 100 feet, making it the go-to spot for that perfect photograph of your holiday in Ireland. A head for heights comes highly recommended for this daring crossing! A brief visit to take in the spectacle of the Dark Hedges is also on the cards. This series of imposing 200 year old beach trees will be familiar to followers of Game of Thrones, featured in season 2 of the series as the King’s Road. Then we take another short stop and an opportunity to photograph the dramatic surroundings and timeless beauty of 13th century Dunluce Castle which is believed to have inspired C.S Lewis to write the Chronicles of Narnia! 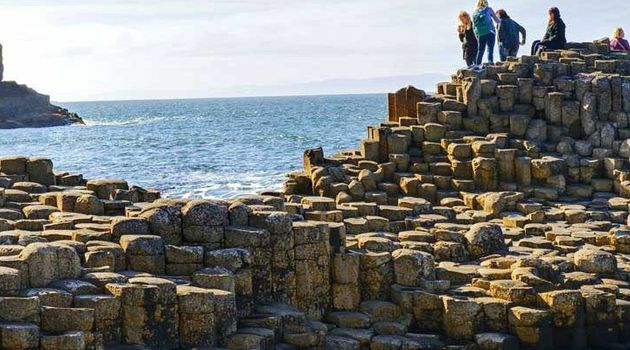 Finally, with talk of science and tales of giants, we leave the mindboggling beauty of the Antrim coastline behind and get back on board our luxury coach for the return leg of your tour to bustling Dublin city. Customers will be dropped off at O'Connell St Upper (Gresham Hotel).